In 1990, with the blessing of the Lubavitcher Rebbe, the Magen Israel Summer Program for Persian children was established. Since its inception, the center has grown to include a preschool, Hebrew school, and synagogue, as well as many other programs. “Every child deserves a positive and meaningful Jewish education.” It is this ethos that drives our efforts to ensure that every Jewish child experiences Judaism in a warm and positive environment. With the objective of educating their students in the ways of the Torah, Rabbi Chayempour and Morah Tammy have since become integral and authoritative voices for the furtherance of advancing Jewish education in Great Neck. As pioneers of youth education, much of the fruits of their labors can be seen within the rapid developments that have begun to sprout within the growing Jewish Community of Great Neck. Following the Iranian Revolution in 1979, thousands of Persian Jewish families emigrated from Iran in hopes of establishing a better life in America. Immigration procedures required traveling to a neutral country where one would then apply for an entry visa to the United States. The application process could take anywhere from six months to two years, which left thousands of Iranian Jews stranded in far-flung cities such awaiting their much-needed documents. With no Jewish infrastructure in place and no established community, keeping Judaism became quite a challenge. Enter Rabbi Yitzchok and Tamar Chayempour. 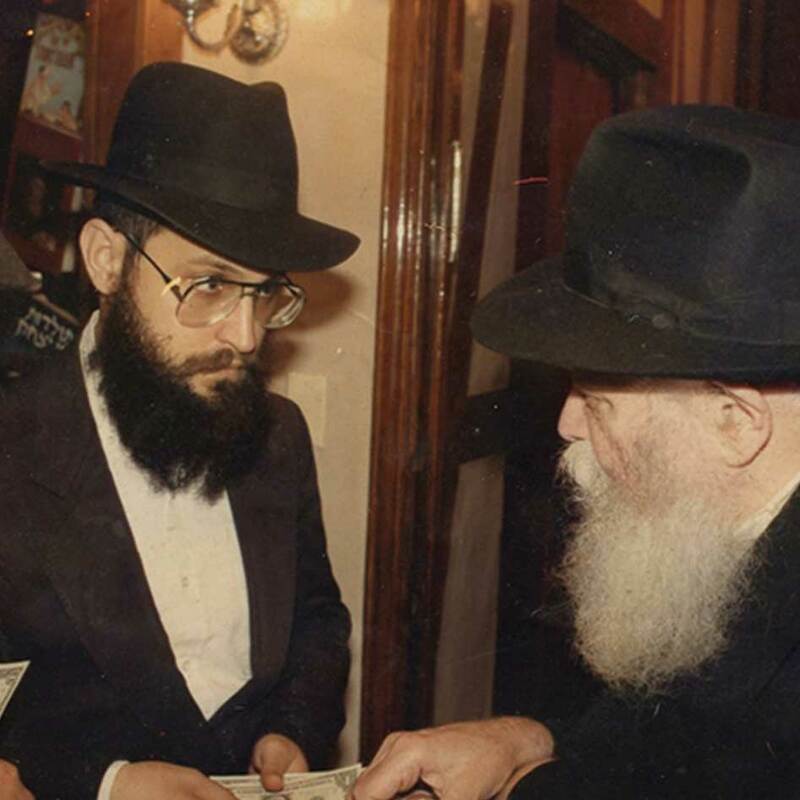 In 1988, just a few short months after their marriage, this young Chabad couple living in Brooklyn were directed by the Lubavitcher Rebbe to establish a Jewish community for the Jews fleeing Iran. They packed up their apartment and headed for Ladispoli, Italy, a small suburb of Rome which at the time housed the American Embassy as well many displaced Iranian refugees. Rabbi Chayempour, a native of Iran himself, and fluent in Farsi, was well equipped to handle the needs of the community. Immediately upon arrival Rabbi and Mrs. Chayempour took upon themselves to ensure that resources would be available to the community in all areas of Judaism creating programs where there were none and providing anything which was needed. From adult classes to Synagogue services, from children’s summer camp to providing kosher food, to eventually building a Mikvah, nothing was too difficult and no one was turned away. Whether it meant personally slaughtering chickens or individually teaching children Aleph Bet, Rabbi Chayempour and Morah Tammy, made sure that each person received what they needed with a smile and an open hand. With G-d’s help by 1990 almost everyone had received their visas and most of the refugees had moved on to America. With the influx of Persian Jewry came the need for community leadership and specifically for education programs, for the many Iranian children now living in New York. Once again Rabbi Chayempour and Morah Tammy were there. They quickly implemented adult education classes and after-school Talmud Torah programs to meet the needs of the growing communities. Camp Gan Israel, which has since evolved into the ever popular Magen Israel Summer Program, gave hundreds upon hundreds of children a positive Jewish experience in a fun and loving atmosphere. In 1994 they established the first Sepharadic Jewish day school in the area and as the community settled in Great Neck, Long Island, the the Magen Israel Center of Great Neck was born. Today, with Hashem's help, Magen Israel continues as the forerunner in Jewish Education in the Great Neck area. The center has since grown to encompass a synagogue, early childhood program, primary school, adult learning center, Hebrew school, and so much more. It is with your continued support that we continue our mission of bringing our community closer to Torah and Mitzvot, one Jew at a time.